Legislators involved in promoting these bills alerted that the gun lobby (the NRA, the Second Amendment Society, the NJ Pistol and Rifle Clubs, their members and professional lobbyists) is pushing back hard on the seven gun violence prevention bills above. They are mobilizing grassroots calls, emails, and direct lobbying to members of the Senate Budget & Appropriations Committee. 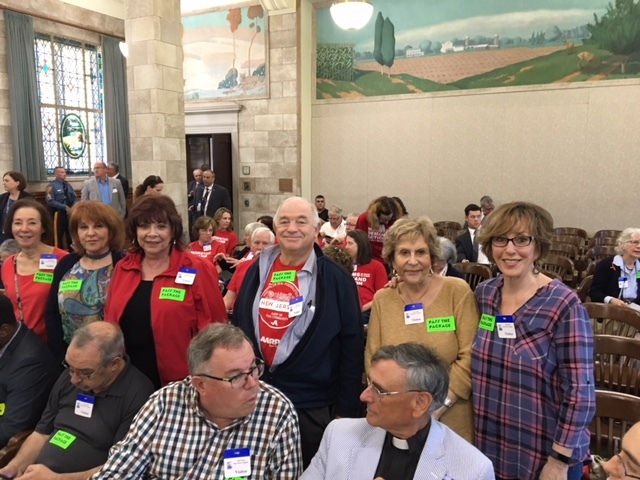 Our presence in force at the hearing countered the gun lobby efforts.